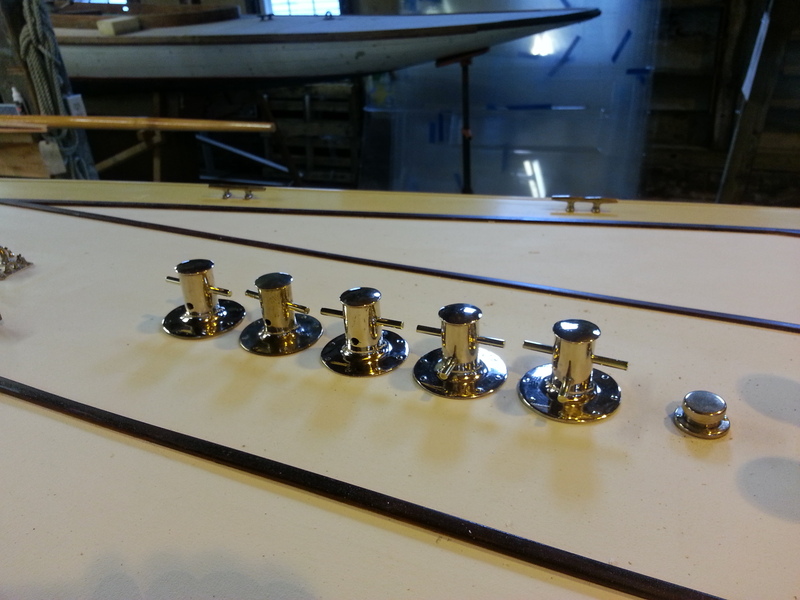 We’ve been fitting the bowsprit collars to the bowsprit and on deck. Interestingly on the Original RELIANCE, the forward collar was cast while the after one was fabricated. Why we don’t know, seems to contradict NGH’s rule of simplicity and manufacturability??? Why didn’t he just cast or fabricate both from the same drawing? Also, the forward standard cast part must be cut at the sides to match the taper of the deck edges. 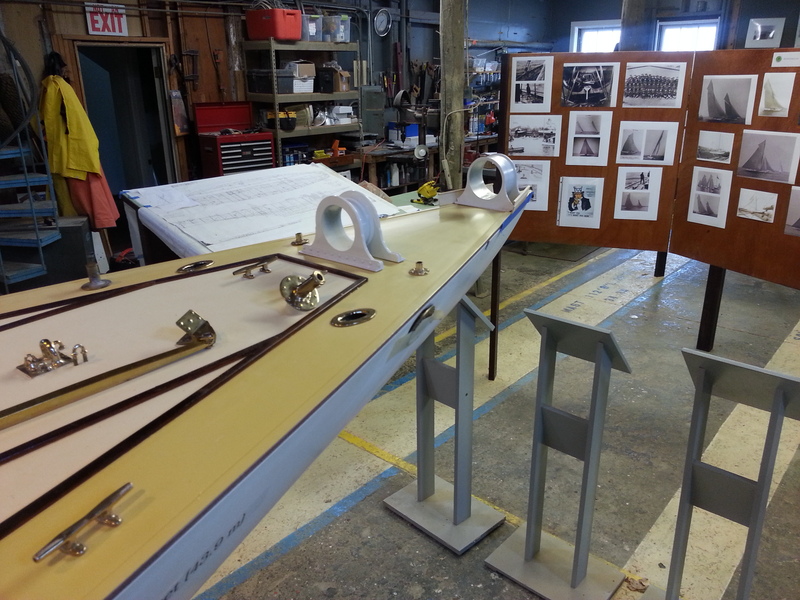 In the first picture you see Keith and “the guy upstairs” fitting our bowsprit into the collars to ensure tight fit and proper alignment, and in the second the collars have been drilled, fitted to deck, and the forward collar trimmed to the deck edge railing. Many female visitors have been wondrous that 1892 fin keel boat Wee Winn was owned by Miss W. Sutton won 21 of 22 races in her first season at Cowes. 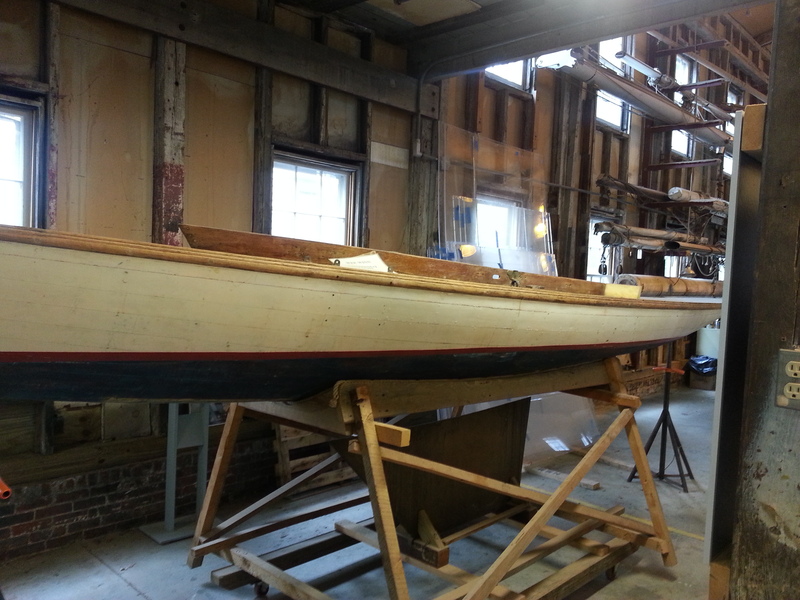 We recently had a visit from a British boat builder who built a turn-of-the-century fin keel boat on the Wee Winn design, and now understand that a replica of Wee Winn sails at Cowes. Coincidently with his visit, we had a note from a Dutchman with a picture of Wee Winn (or a knockoff, not sure) sailing in northern Holland. Wee Winn had a bulb on the bottom of her fin keel and any pictures of the bulb from replicas or knock offs or lines taken from her are appreciated. 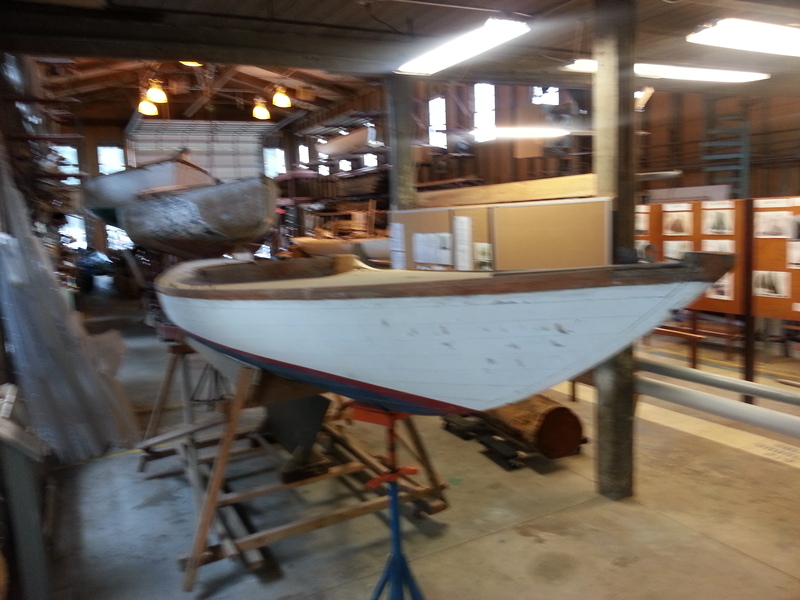 On an important side note, Wee Winn is a very important boat in the museum’s collection and needs to be restored ASAP as soon as funds for a museum historical boat survey are raised. But back to Reliance, these same women then wonder about women on board Reliance; so much so Miss Barbie Bristol suddenly appeared on deck. Now the testosterone crowd is complaining that women on board are bad luck…. 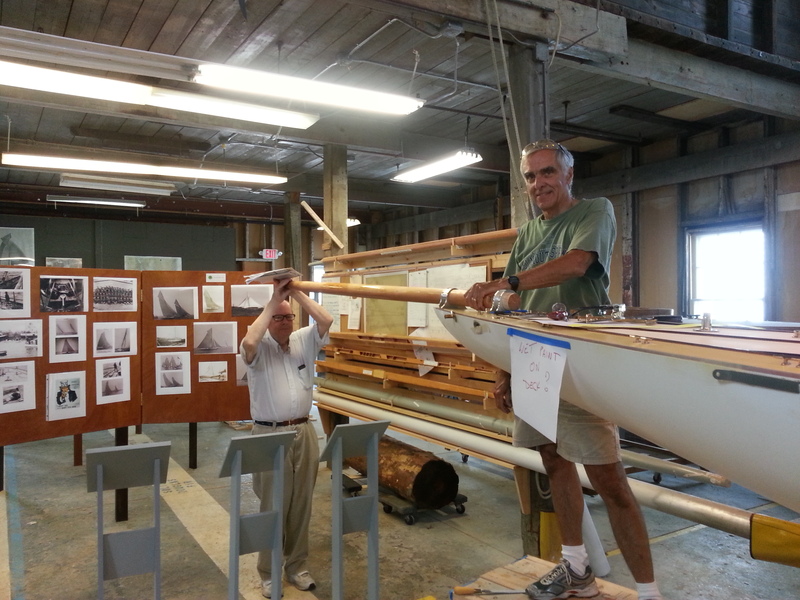 This entry was posted in Project Manager's Welcome on July 18, 2014 by Herreshoff Marine Museum/America's Cup Hall of Fame.